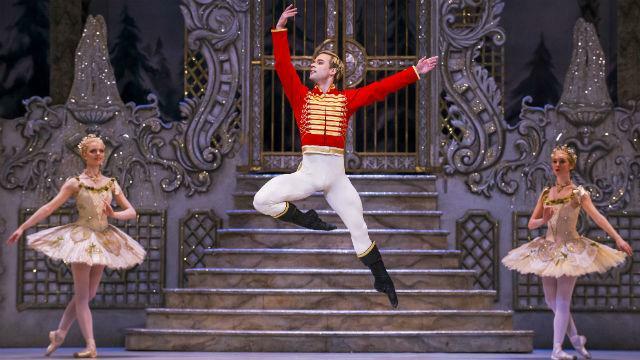 Experience the magic of Tchaikovsky’s famous score as the enchanting world of The Nutcracker is brought to life at the Royal Opera House. Late on Christmas Eve, a young girl named Clara tiptoes downstairs in search of her favourite present, a nutcracker doll. There, she is met by the mysterious magician Drosselmeyer who transports her on a dream-like adventure, where she encounters the Mouse King, the Sugar Plum Fairy and more magical characters. Expect breathtaking sets inspired by the classic Victorian Christmas and sparkling stage effects in Peter Wright's spectacular production, performed by The Royal Ballet.